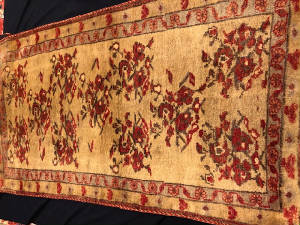 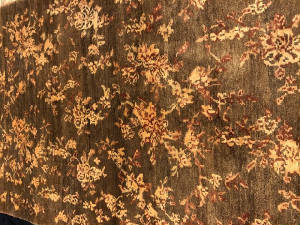 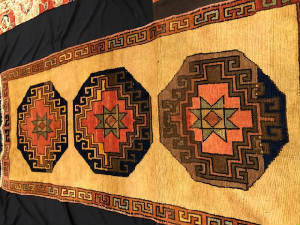 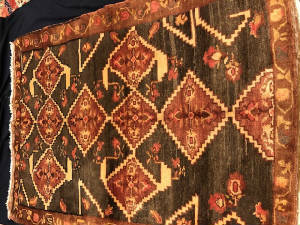 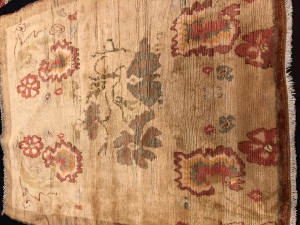 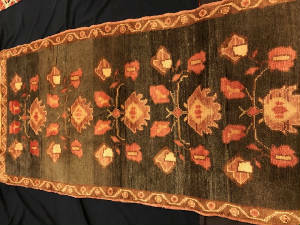 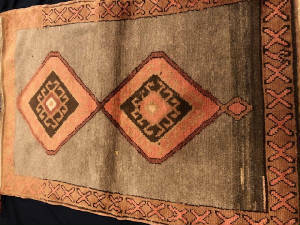 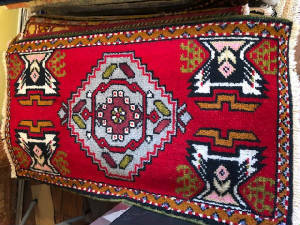 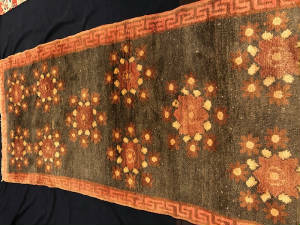 This new handmade flatwoven Sumak is from Turkey. 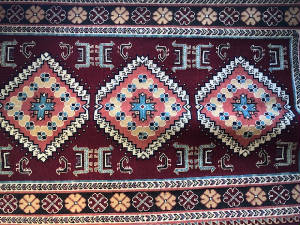 It has a brick red background geometric style . 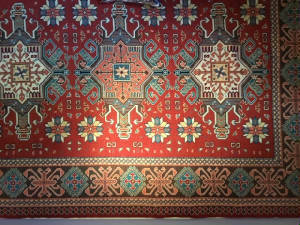 side is full of fine geometrics and shades of white , greens and brick red.